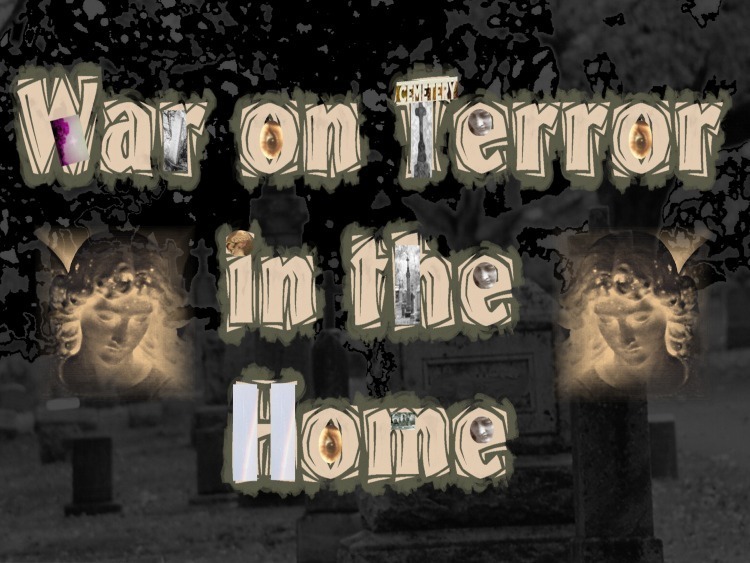 Many years ago I was designing various graphic images on other wars on terror. This one was war on terror in the home to bring attention to domestic violence. I layered images on some of the text before adding to the computer graphic image. The base was a picture taken in a cemetery that was layered with busts of angels and parts of computer altered photographs placed at the top. I then layered the altered designer text in place. I can work for hours altering and layering pictures hoping for that perfect combination.